I am reading O'Reilly's OpenCV 3 book. In keypoints section(for tracking objects), there is an algorithm named "Lucas-Kanade". in the below image it tries to give a visualization of it but I can not understand the derivitive of time I(t) in this image, also what is the vertical-axis in this pic? Figure 16-5, which shows an “edge”—consisting of a high value on the left and a low value on the right—that is moving to the right along the x-axis. Our goal is to identify the velocity v at which the edge is moving, as plotted in the upper part of Figure 16-5. 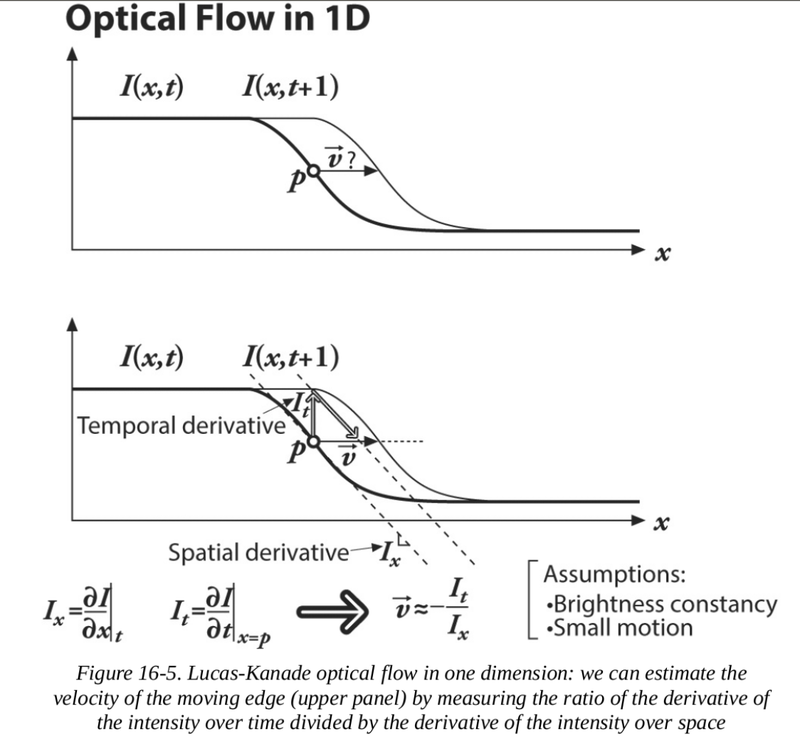 In the lower part of the figure, we can see that our measurement of this velocity is just “rise over run,” where the rise is over time and the run is the slope (spatial derivative). The negative sign corrects for the slope of x.
Browse other questions tagged computer-vision algorithms optical-flow visualization or ask your own question.